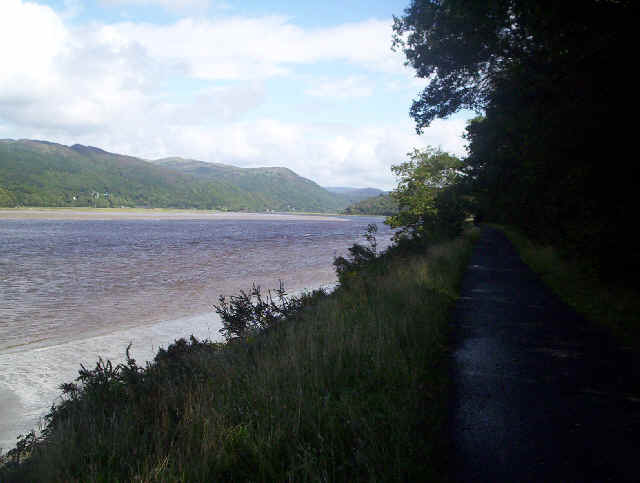 The Mawddach Trail is most certainly not a hill walk but I've included this because it's a super walk with spectacular scenery and could be a useful day's walk if the weather is too awful to climb hills. 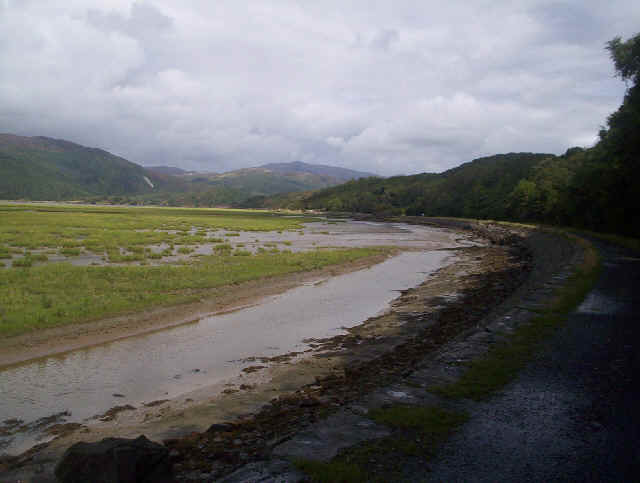 It's about eight miles from Morfa Mawddach to Dolgellau. 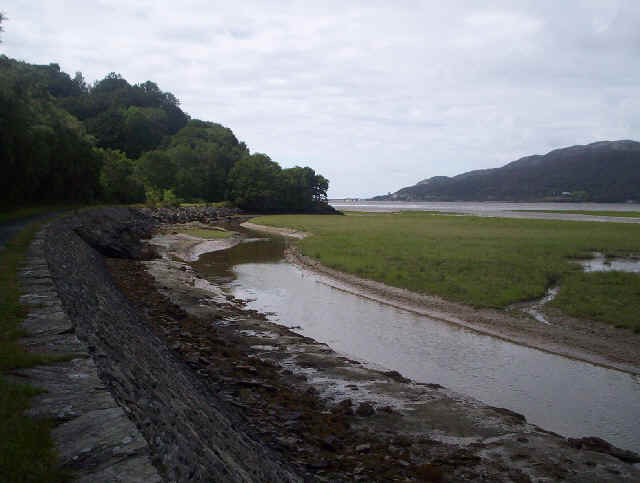 To reach Morfa Mawddach use either the Cambrian Coast railway or Arriva's no. 28 bus from Dolgellau to Machynlleth. 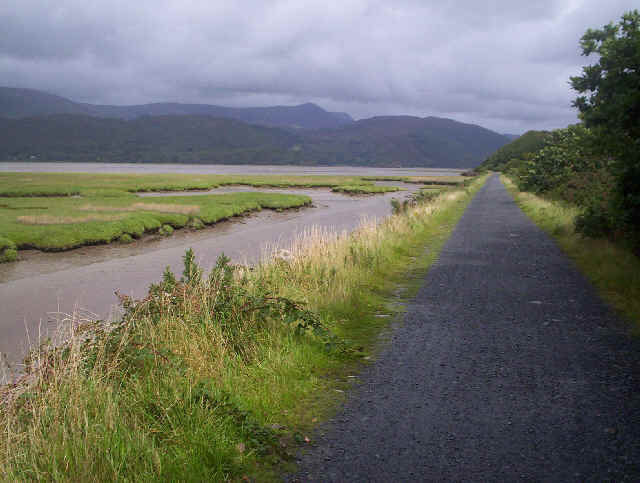 The Mawddach Trail uses the old track bed of the closed Morfa Mawddach to Dolgellau and Ruabon railway line and gives superb views of the Mawddach Estuary and the hills of this part of Snowdonia. 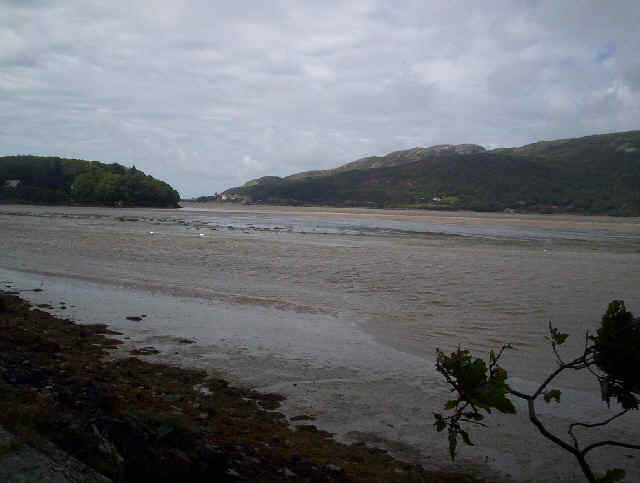 Looking downstream with Barmouth across the water. 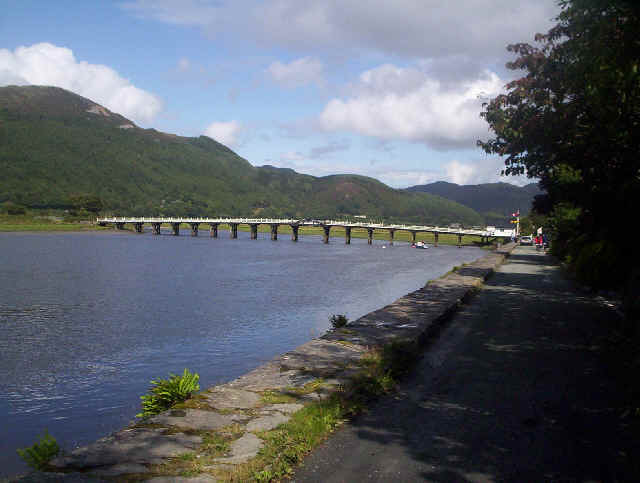 Barmouth Bridge can just be seen crossing the Mawddach estuary. Pemmaenpool toll bridge and old railway signal. A good place to stop for a drinkl or meal in the pub. It's only another mile or so to Dolgellau from here.